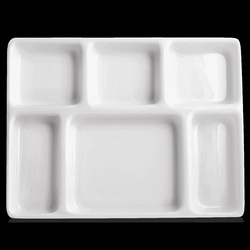 We deal in a wide range of meal trays available in 3,5 and 8 portions. These are used to pack food and serve as thalis. 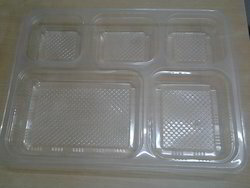 The Meal trays are Food Grade and can be either sealed or used with Lid. We deal in Meal trays. which are used for packing Lunch & Dinner. Can be sealed and used with Lid also. We also develop paper sleeves for the meal tray. 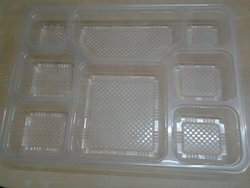 We deal in Meal trays, used for packing Lunch & Dinner. These are sealable and can be used with Lid also. We also develop attractive paper sleeves for the Meal Tray. We deal in Meal trays. which are used for packing Lunch & Dinner. 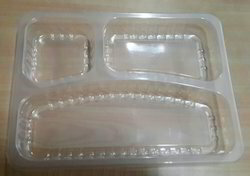 These trays used for packing Snacks also. Looking for Meal Trays ?